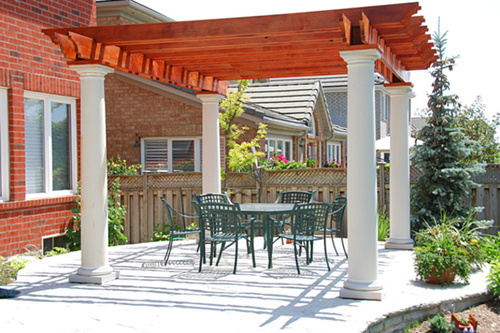 Made from the finest cedar materials, our Pergolas are a unique addition to your backyard. Custom designs are build to suit on existing decks, supported by the existing house or freestanding in the backyard. As of 2013 we have launched our pergola program in two various designs, Victorian and Colonial which can be built into 3 sizes and set up as a kit for DIY customers. Kits are available at our retail partners as well as our Trafalgar location. © Copyright 2019 Gerrick Carpentry. All Rights Reserved. Content Management Tools by REM Web Solutions .